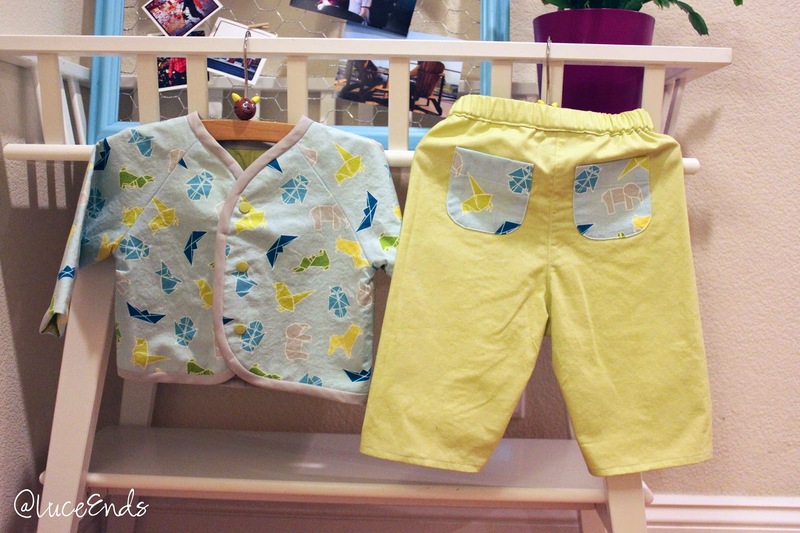 I recently completed my first Oliver + S Lullaby Layette set as a gift. 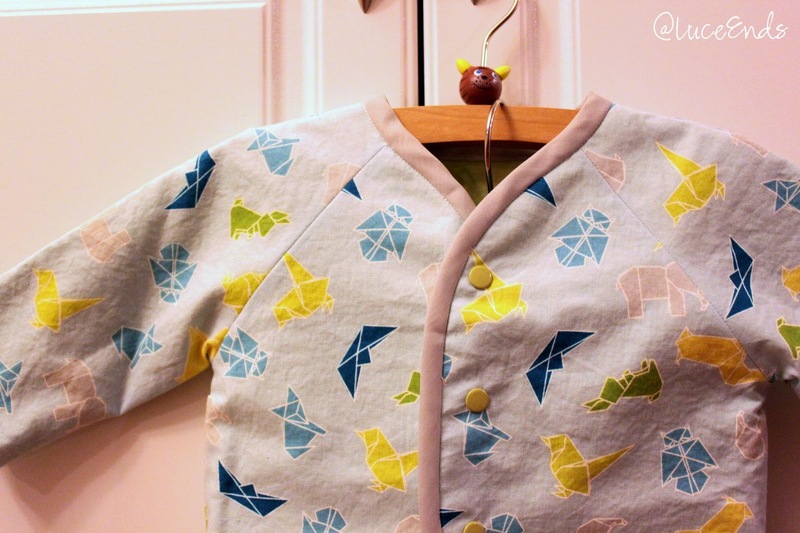 This is one of the easiest patterns to put together, it would be great for someone's first clothing project! 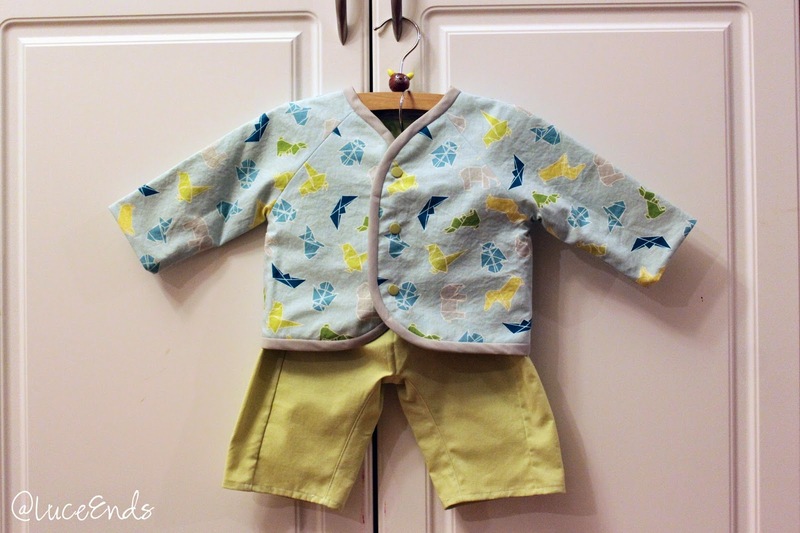 I sewed up a size 3-6 months. I can't remember who made the little origami fabric, but the solids (lining and pants) are a Kona cotton. I didn't want to mess with making my own bias binding, so this little jacket was finished with some basic packaged binding.